The children you work with will come from different backgrounds and upbringings, and might spend more time with you than they do with anyone else outside of their families. They might be from a broken home, or from a home that is nicer than your own. They might live with their birth parents, adoptive parents, grandparents, or in a foster home. Sadly, some children will have gone through several different “family” environments, sometimes forced to leave each, and typically for reasons completely out of their control. Regardless of their background, they all have at least one thing in common: they are now in the system you are a part of and have likely experienced some form of abuse (e.g., sexual, physical, or verbal). Do not automatically assume the child’s abuser was a family member; it could have been someone outside the family. Each child and each situation is different. Growing research has exhibited progressive findings that indicate success with positive behavioral supports. Positive behavioral supports deemphasize punishment, and instead focus on replacing challenging behaviors with more appropriate behaviors. You will use positive behavior supports to help the child understand that failures can provide opportunities for improvement and growth. Your goal is to teach the child valuable techniques that will help them live a positive life. Your job is not to be the expert – doctors and other specialists have already determined the child’s medical and personal needs. Your job is to help make the child feel comfortable and safe. You, not experts, will get to know the child. 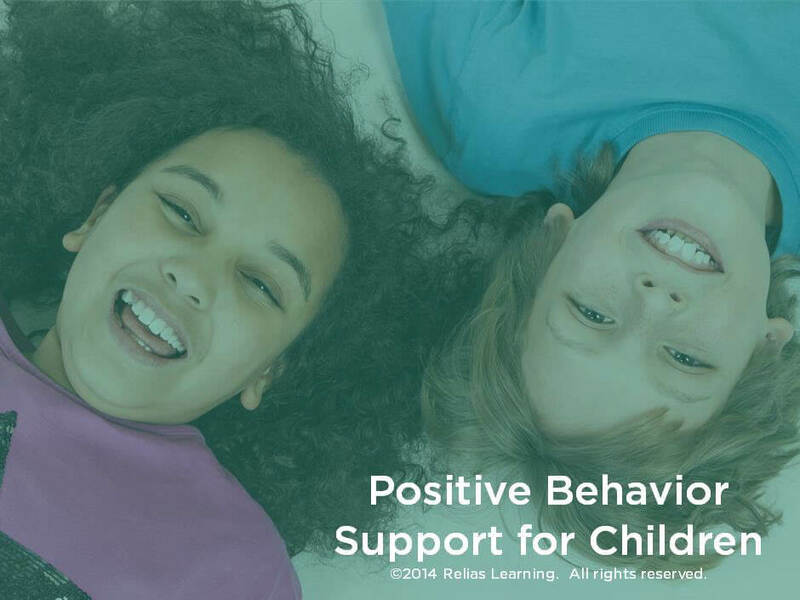 Analyze the ABCs of Positive Behavior Supports. Identify the different functions of targeted behaviors. Recognize opportunities for positive intervention. Apply behavioral interventions that focus on the antecedent. E.	Antecedent, Behavior, Or Consequence? Larry Lipsitz, M.Ed., is the Director of Intensive Positive Training Program, LLC, which provides consultative services to school districts and human services agencies, including the Kuwait Centre for Autism. His expertise is in the field of positive behavioral supports, autism, and behavioral programming. Disclosure: Larry Lipsitz, M.Ed. has declared that no conflict of interest, Relevant Financial Relationship or Relevant Non-Financial Relationship exists.